This flashy son of Fast Company arrived here at Tyre Hill Stables in February 2017 and made a promising start to his career when finishing 5th on his racecourse debut at Wetherby in June 2017. As a 3yo, Kingfast ran consistently throughout 2018 being placed on a couple of occasions before a winter break & came back with a bang on his first outing this year to land the Play 4 To Score At Betway Handicap as a result of a three-way photo finish. We are now looking forward to him continuing to progress this year & he could be seen over hurdles in spring 2019. Kingfast is available for syndication in shares ranging from 25% - 50%. Marquis Of Carabas was bought from Ireland in January 2015 after being placed 4th & 2nd in two point-to-points. This 7yo son of Hurricane Run was consistently placed in his first season under rules and landed the spoils at Warwick in May 2016 to win the David Dennis Racing Novices' Hurdle in good fashion. Marquis Of Carabas finished just a neck 2nd in a handicap hurdle over 2m5f at Wetherby in October 2016 and ran well to finish 7th at Cheltenham next time out later that month, followed by a further three placed efforts at Doncaster, Fakenham & Taunton. 2017 saw Marquis Of Carabas make a very pleasing start to his chasing career winning on just his third start over fences at Ffos Las in June to land the Joy And Jonathan Martin Golden Wedding Celebration Handicap Chase by a cosy 13 lengths and placed on a further three occasions. He was then given a Winter break before returning to training in spring 2018 & ran consistently all year including when putting up a gallant effort back at Ffos Las in July to lose out on the nod by only a short head into 2nd in the Christian Williams Racing Handicap Chase. 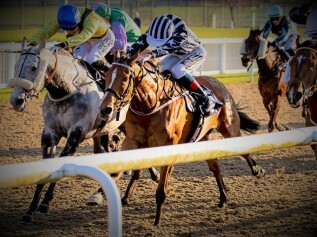 Back in full training again now for this spring & summer Marquis Of Carabas enjoyed a spin in a charity race at Hereford in March 2019 & we now look forward to seeing him back in action again soon. 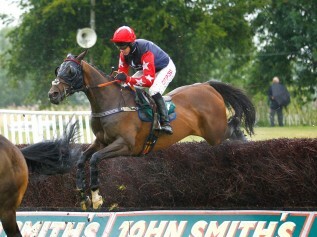 Marquis Of Carabas is available for syndication in shares ranging from 10% - 100%. 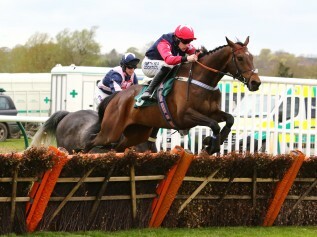 Roman Flight is our highest rated NH horse and is a highly versatile and capable individual who notched up two wins on the flat and five wins over hurdles before his first success over fences at Uttoxeter in July 2015 on his chasing debut under Noel Fehily. Since that first chasing victory, Roman Flight has gone on to win in a further three times over fences with his most recent win coming in the bet365 Open Handicap Chase at Newbury on day one of the 2016 Hennessey meeting - his biggest win to date. A talented and versatile horse, we are hoping that his chasing career can continue to blossom having been very pleased with his consistent efforts throughout his career so far & look forward to him back on the racecourse this season. Roman Flight is available for syndication in shares ranging from 10%-100%.